Join the fight to stop the South Korea, Colombia and Panama Free Trade Agreements (FTAs) by clicking “like” on the IAM Facebook page. The timing is unclear, but debate over the three seriously-flawed, pending trade deals could begin as early as this summer. 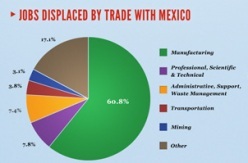 If adopted, the FTAs – fashioned after the failing North American Free Trade Agreement (NAFTA) – will make the current economic crisis even worse. 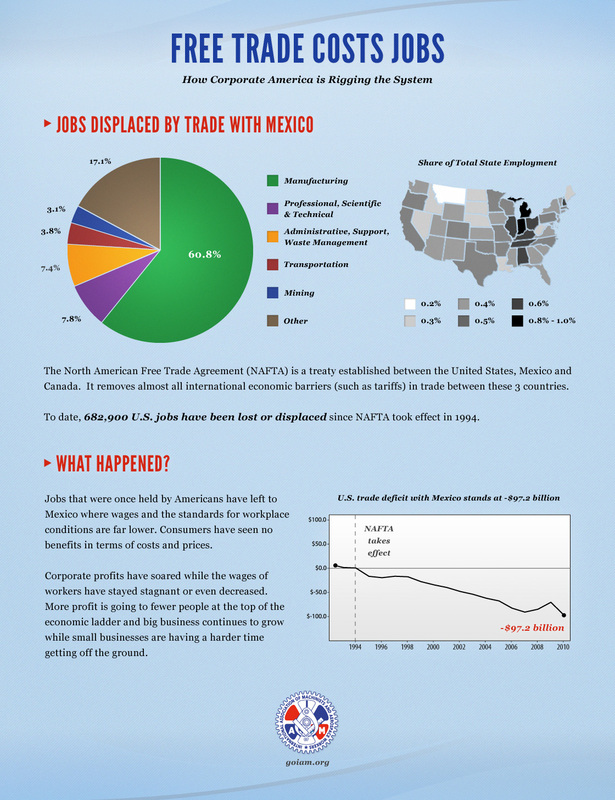 A new IAM infographic details NAFTA’s failed trade policies as a foreshadowing of what is to come. Click “like” on the IAM Facebook page to help save American jobs!